Capture the attention of your audience with beautiful images using the Bloom theme. 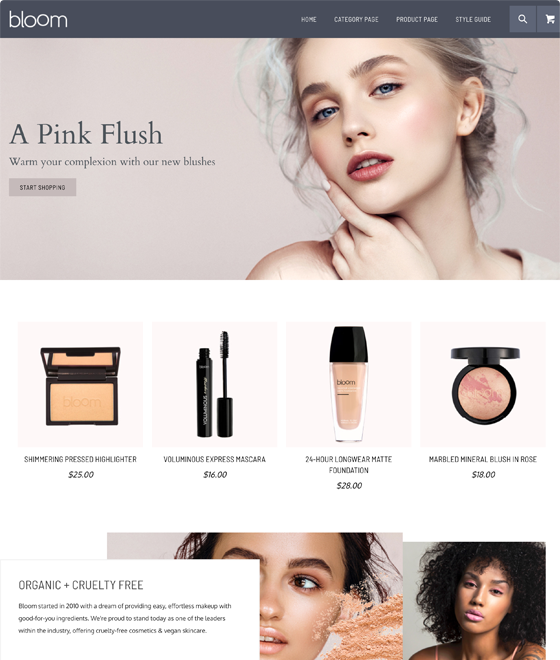 This fully responsive theme features large images and striking headlines, creating an impressive effect for businesses with strong imagery and branding. 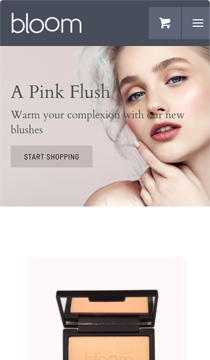 Bloom’s simple, attractive navigation menu allows for the smooth flow of users through your site and facilitates uninterrupted focus.